Jessica joelle Alexander is an American expat, author, columnist and cultural trainer. She graduated with a BS in a psychology and went on to teach communication and writing skills in Scandinavia and central Europe. Married to a Dane for 13 years, she lives in Rome with her husband and two children, Sophia and Sebastian. She is the co-author of The Danish Way of Parenting; What the Happiest People in the World Know About Raising Confident, Capable Kids. "The Danes' highly developed sense of empathy is one of the main reasons that Denmark is consistently voted one of the happiest countries in the world (this year it is once again number one). Empathy plays a key role in improving our social connections, which is a major factor in our overall happiness." "Empathy, or the ability to read another person’s emotions, is a critical life skill. Many fear children are losing it—and that they’ll be less happy as adults as a result." 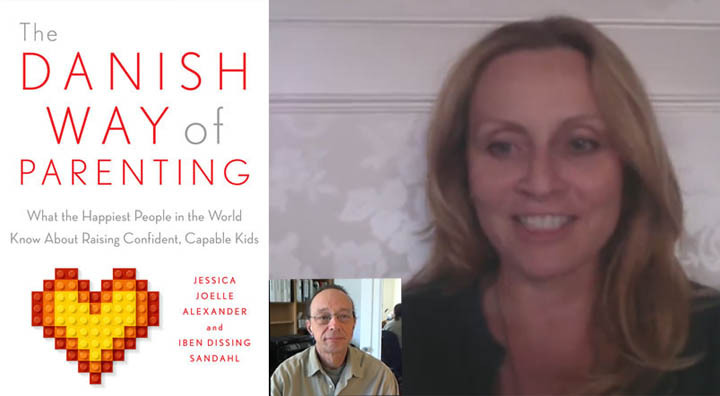 While researching our book “The Danish Way of Parenting; What the Happiest People in the World Know About Raising Confident, Capable Kids,” my co-author and I interviewed numerous teachers and students across Denmark to learn how they incorporate empathy in schools and at home. Notably, in the Danish education system empathy is considered as important as teaching math and literature, and it is woven into the school’s curriculum from pre-school through high school. The Danes’ highly developed sense of empathy is one of the main reasons that Denmark is consistently voted one of the happiest countries in the world (this year it is once again number one). Empathy plays a key role in improving our social connections, which is a major factor in our overall happiness." "Perhaps unlike their U.S. peers, kids in Denmark—where happiness levels are the highest on Earth—are taught in school to care for one another from a young age. Contrary to popular belief, most people do care about the welfare of others. From an evolutionary standpoint, empathy is a valuable impulse that helps humans survive in groups. In American schools, this impulse has been lying dormant from a lack of focus. But in Denmark, a nation that has consistently been voted the happiest place in the world since Richard Nixon was president, children are taught about empathy from a young age both inside and outside of school." "The American author of a new book about Danish parenting writes that the Danes' focus on empathy makes them much happier than Americans who pursue material goods. I used to undervalue the importance of empathy until I married a Dane. Through my many years living among people voted as the happiest in the world, I have to say that I learned some valuable life lessons. One of the most important being that “empathy” is a far better predictor of wellbeing than the American dream." "Empathy, or the ability to read another person’s emotions, is a critical life skill. Many fear children are losing it—and that they’ll be less happy as adults as a result. A University of Michigan study of nearly 14,000 college students found that students today have about 40% less empathy than college kids had in the 1980s and 1990s. Michele Borba, an educational psychologist and author of Unselfie: Why Empathetic Kids Succeed in Our-All-About-Me World, argues that that the rise of narcissism and loss of empathy are key reasons for why nearly a third of college kids are depressed and mental health problems among kids are on the rise." "Anyone anywhere who has children learns quickly this inalienable truth about humans: We are inherently, naturally and spectacularly selfish creatures. From first cry to last breath, our needs blot out everything else in what is perhaps an evolutionary necessity but is also an ingredient for an unpleasant world at best, and a dangerous one at worst. What children do not come by naturally is empathy, the ability to understand another person’s perspective and want to help them. Empathy, as it turns out, is a skill—akin to math or science or writing—that must be taught, over and over and over. And it must be taught. Not only does empathy help turn children into more pleasing people; it also is a key to forging social connections that contribute to overall happiness and success." "We all want our kids to be happy. And happiness is something the Danes have supposedly figured out, with research consistently showing that residents of Denmark are among the happiest in the world. So, it’s not a huge surprise that an article we published on Danish parenting tips has proved to be one of our most-read. 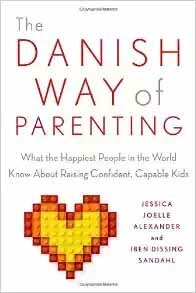 Due to this popularity, we decided to do a deep-dive into some of the bigger philosophies rooted in Danish culture with The Danish Way of Parenting authors Jessica Alexander and psychotherapist Iben Sandahl leading the way. Last month we discussed the power of play-based parenting, and this time around we’re talking to the authors about the Danes’ belief in the importance of teaching children the concept of empathy." "What makes Denmark the happiest country in the world–and what are the secrets of Danish parents for raising happy, confident, successful kids, year after year? This upbeat and practical guide brings together the insights of a licensed psychotherapist and a mom — a Dane and an American married to a Dane, respectively — on the habits of the happiest families on earth. "Developing empathy is not only important for students; it's a vital skill for teachers as well. When interacting with parents, teachers should develop relationships "by serving as a bridge, not an expert," wrote pre-K teacher John M. Holland in an Education Week Teacher opinion blog last year. And earlier this year, school leaders across the country participated in the Shadow a Student Challenge to better understand a child's school day—from eating lunch to riding the bus. (PBS NewsHour recently aired Education Week's coverage exploring how one assistant pricipal tackled the challenge.)"